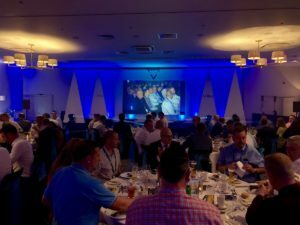 Voiteq, global providers of voice-directed work solutions, hosted its eighth successful annual Voice User Group (#VUG18) at the De Vere Staverton Estate, Daventry, on Tuesday 19th June. Attended by customers, future customers, partners and industry thought-leaders from across the globe, the event is the largest of its kind and welcomed over 150 guests. 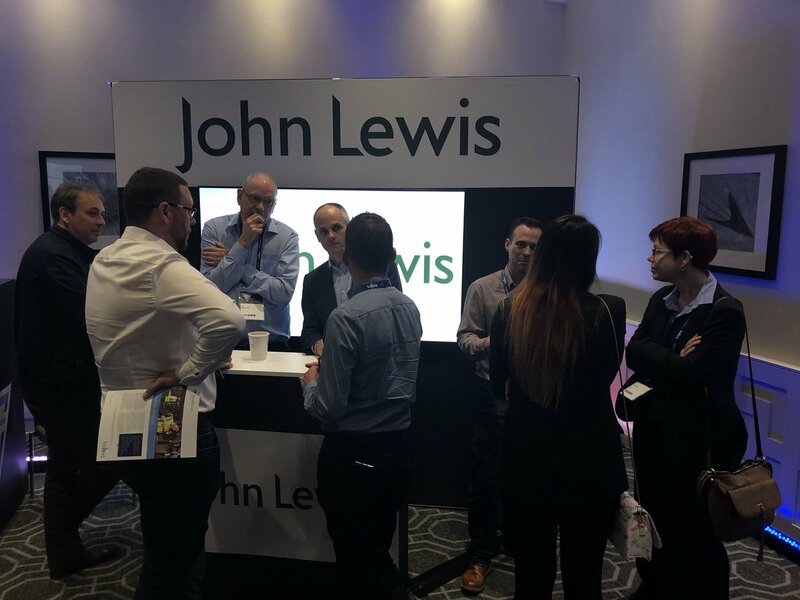 With the theme for 2018 being ‘The People’s Voice’, delegates heard from Voiteq customers such as John Lewis, Waitrose, Hunt’s Foodservice and Hachette Group, platinum partner and guest speaker Honeywell, as well as key people from within the Voiteq family; discussing topics on Delivering Customer Value Yesterday, Today and Tomorrow, A Powerful Partnership, Automation with Voice and Optimising Outbound with Voice. “Our Voice User Group has grown over the last eight years and is a firm favourite in our customers’ calendars, gaining a reputation for its innovative and valuable content, as well as fantastic networking opportunities,” commented Isabel McCabe, managing director for Voiteq Ltd.
Matt Gregory, Voiteq’s UK sales director, shared an operational update discussing key trends Voiteq has seen in the UK supply chain around ‘big data’ and the uptake of VoiceMan Data Analysis which offers deeper insight into warehousing operations. There has been a rise in voice beyond picking and the 3PL community has been aggressively adopting voice for loading, returns, receiving and stock moves. Voiteq highlighted a selection of innovative new projects completed over the last 12 months. Delegates also listened to an industry panel discussion hosted by Gregory. Logistics professionals interviewed on current challenges, solutions and the future of warehousing and logistics included Matt Lewis, director at Castell Howell, Alan Phillips, operations manager at Wilko, Steph Tite, returns manager at XPO Logistics Supply Chain, and Cornelius Economou, global sales leader voice-directed workflow solutions at Honeywell. The launch of a brand new VoiceMan Loading module was a key highlight at VUG18. Delivered by product director Phil Garner in an on-stage live demonstration featuring a system that directs operators to load, removing the error-prone paper process, configuration of trailer types and alerts on business process violation, as well as fully integrated with route management software – offering operation visibility with full audit trail. Using its event app – Voiteq IO – delegates interacted with sessions, asked questions, participated in polls and upvoted other delegate questions in real-time. In addition, Voiteq’s exploration zone was bigger than ever before, offering hands-on demonstration areas including VoiceMan Data Analysis, VoiceMan Returns, VoiceMan Screen-to-Voice in conjunction with John Lewis and Voiteq’s sister company, Cirrus Logistics’ CLASS, Visualiser and COST2SERV solutions. 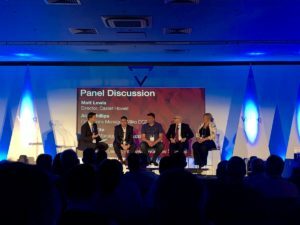 Customer Jackie Bromage, picking section leader at Wilko added; “The event is a lovely day, Voiteq’s values are second to none. I feel proud to be part of the Voiteq family”. The Gala Dinner in the evening was another success, featuring an evening of prizes and ITV’s Britain’s Got Talent comedian Nick Page. Delegates also managed to raise over £700 for Voiteq’s charity of the year – The Boathouse Youth. Voiteq has over 18 years’ experience of voice-directed solutions across all warehouse processes and extending into retail stores and inspection markets – improving business operations, enhancing user experience and supporting industry growth. The User Group will return once again on Tuesday 25 June 2019.